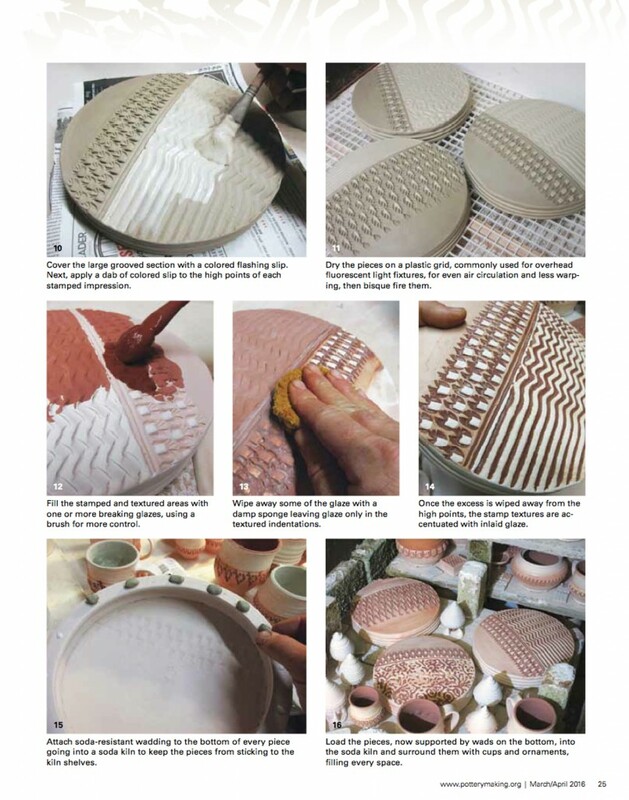 By now I’m sure you’ve figured out that I was recently published in POTTERY MAKING ILLUSTRATED. I was lucky enough to get the full center spread in the March/April issue. Pretty exciting… my first time in their magazine! 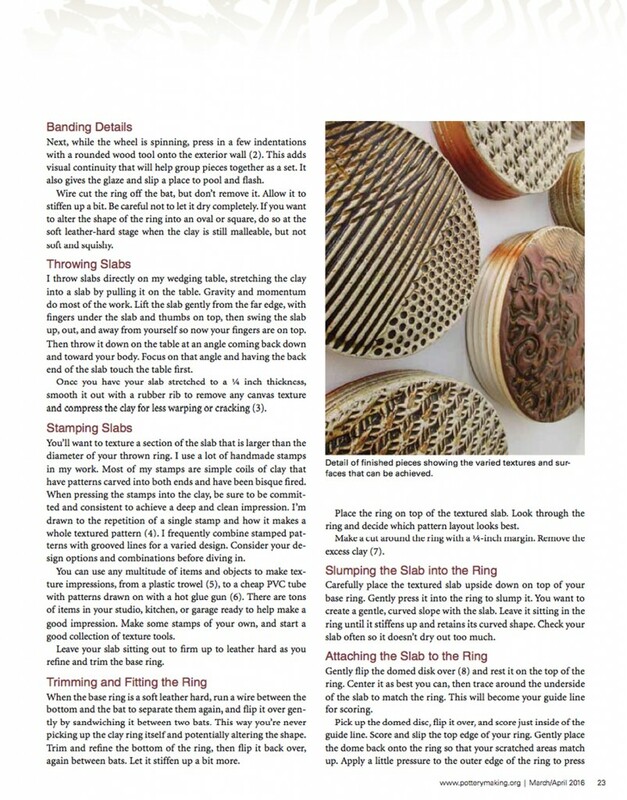 Huge thanks to the fine folks at POTTERY MAKING ILLUSTRATED for recruiting me for their publication. It has been such a fun project for me to work on, and to share my work with a wider audience. 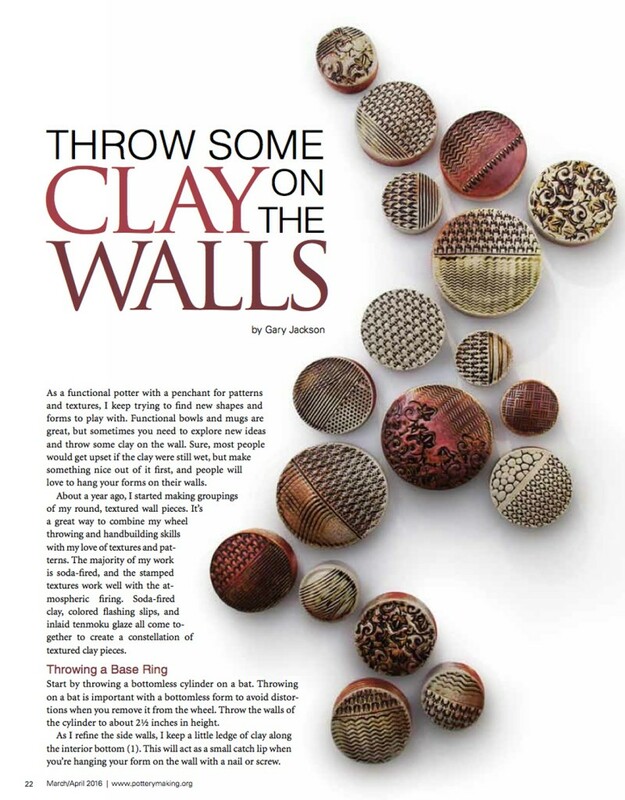 Hopefully the magazine with inspire some people to throw some clay on THEIR walls… and then send me some photos of the result!!! 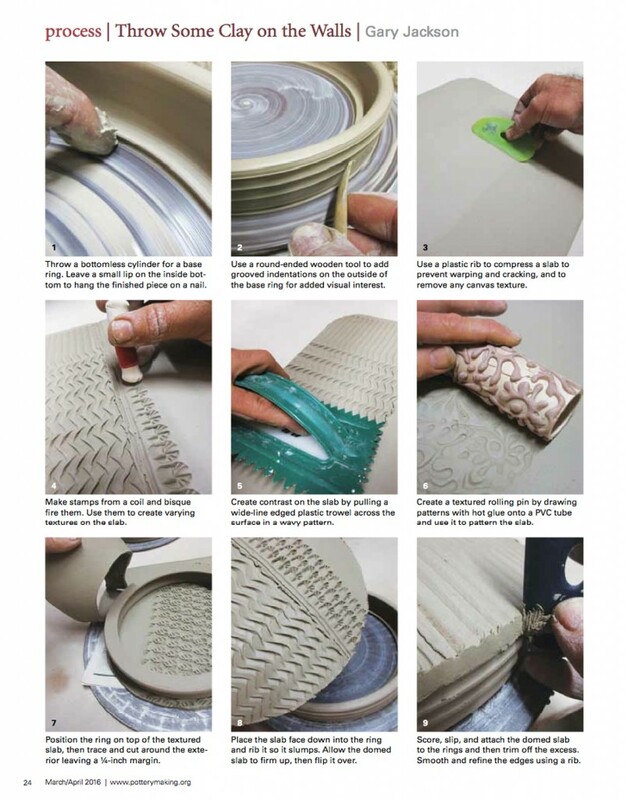 Click here to go to the POTTERY MAKING ILLUSTRATED website. It’s full of wonderful tips, techniques & tricks for potters of all experience levels. Great ideas being shared by a lot of gifted & giving potters. It’s a great online resource for potters of all levels. Or you can click here to go to MY article in the magazine! Because you know this little blog is really all about ME after all… tee-hee. 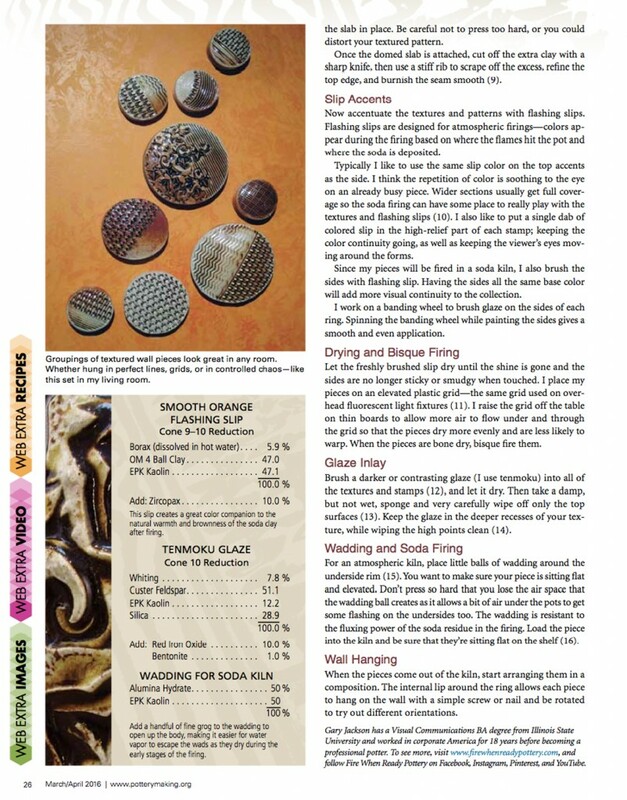 Originally published in Pottery Making Illustrated, Mar/Apr, 2016. http://potterymaking.org. Copyright, The American Ceramic Society. Reprinted with permission.